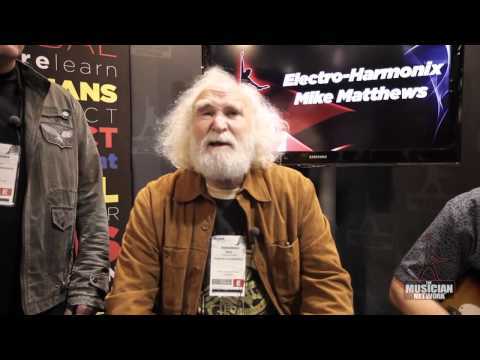 Mike Matthews, Larry DeMarco and Bill Ruppert of Electro Harmonix talk shop. The Ravish Sitar on full display as well as some personal history of Mike Matthews, founder of EHX. 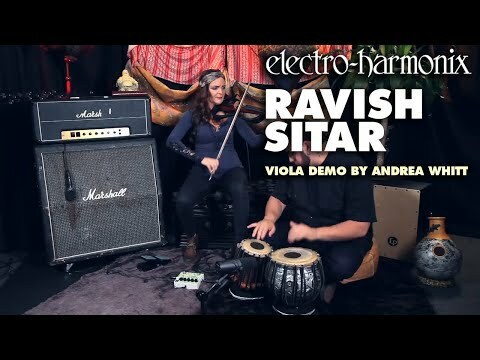 Andrea Whitt demonstrates using the EHX Ravish Sitar pedal on viola. Accompanying Andrea is percussionist David Daniel Diaz. Andrea was assisted by Justin Zangerle (direction & assembly), Tyler Andrews (Illumination) and Joe Little (Audio Engineering). 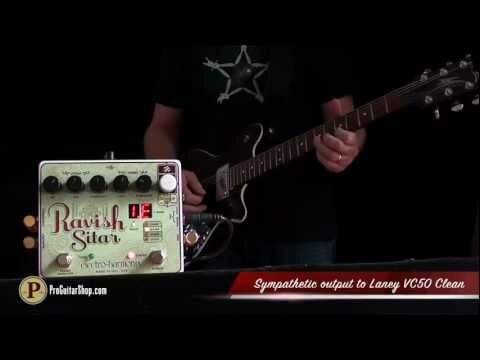 This short video shows the possibilities of the EHX Ravish Sitar effect pedal when used with bass guitar. Drones, sitar sounds, special effects and more are now in the hands of the electric bass guitar player! Rock to Raga…. Bass and programing by Bill Ruppert. 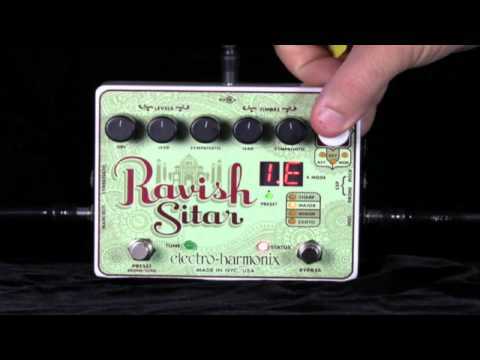 The Electro-Harmonix Ravish Sitar brings you Sitar simulation for guitar in stompbox form. Complete with sympathetic string emulators and a polyphonic lead emulator, complete with timbre controls and a dry mix, The Ravish Sitar has all the bases covered for pinpointing the sounds you can dream up. The Ravish Sitar also features a Key selector and Modulation for the sympathetic strings to simulate a tambura, as well as a decay control for leads. 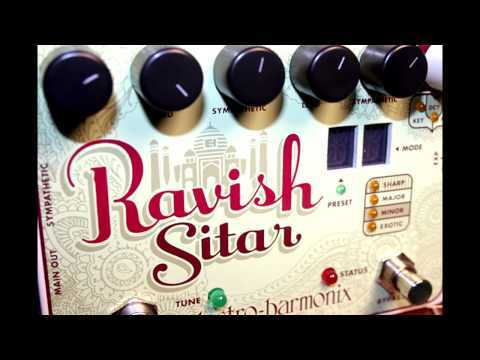 The Electro-Harmonix Ravish emulates the complex sound of a Sitar’s lead voice and droning sympathetic strings vibrating in harmony. The Ravish let’s you mix 3 separate signals and offers a wide palette of tones with 2 timbre controls. 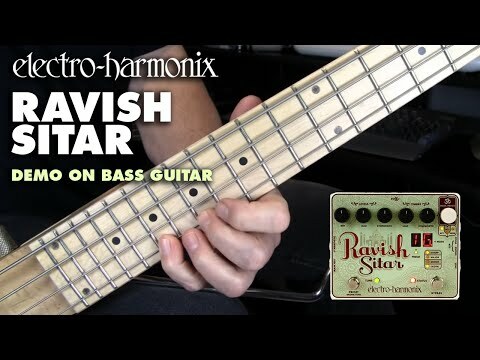 With a polyphonic lead voice and a wide variety of scales and tunings, the Electro-Harmonix Ravish Sitar can accompany any style of music. Plus, expansive stereo outputs, 2 expression inputs (drone,pitch) and 7 presets let you easily take the Ravish into the studio or on the road. 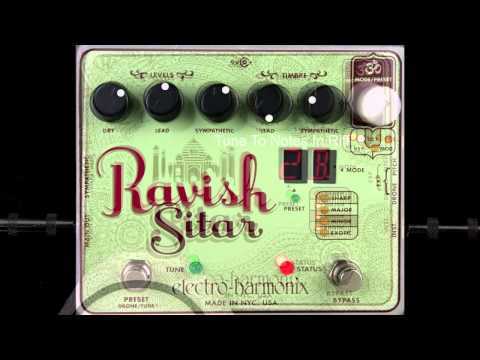 Electro Harmonix Ravish Sitar Very few instruments offer as much harmonic and dynamic flexibility as a sitar. Electro-Harmonix has streamlined the essence of the sitar into a compact enclosure that offers a polyphonic lead voice and tunable sympathetic string drones that dynamically react to your playing. Create your own custom scales for the sympathetic strings while you set the decay time for the lead voice. Two expression pedal inputs allow you to bend the pitch of the lead voice and control the volume of the sympathetic strings simultaneously. These unique controls offer the player the ability to program the Ravish to become a totally unique and organic instrument unto itself. The Ravish is a truly new design with the flexibility to be a crossover tonal wonder. 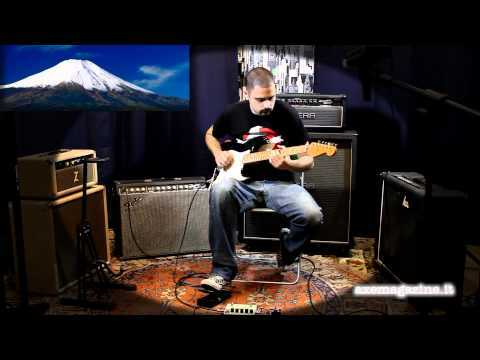 Felipe Gomez From The Bass Invaders recording with Electro Harmonix Ravish Sitar on Bass.